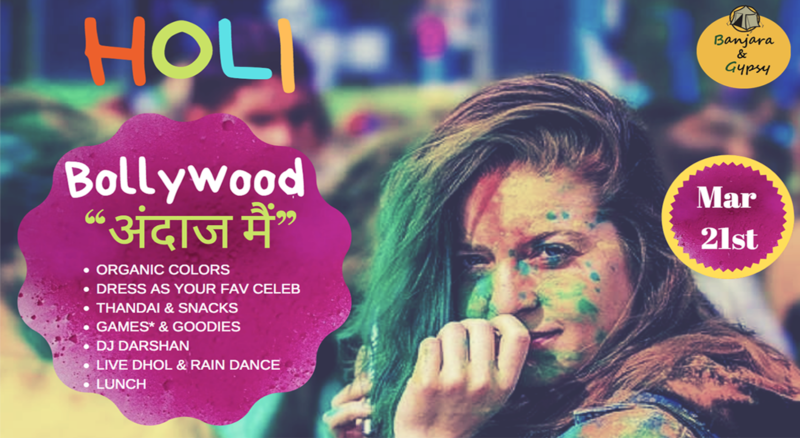 Celebrate a filmy kind of Holi! Pull off your best moves in a rain dance party, and splash colours in a resort space that's great for sneak attacks and clean getaways. A live DJ and Punjabi dhol will have you up on your feet throughout the day, with Holi thandai and a buffet to boot. For an extra adrenaline rush, there are adventure sports options you can choose from too! A bar counter at the venue will have your beverage needs taken care of at pocket-friendly prices. Holi colours: Red, green, yellow etc. Manyata Tech Park Bus stop - 8:00 a.m.
Kalyan Nagar Bus stop - 8:15 a.m.
Tin factory - 8:35 a.m.
Marathalli - Kalamandir - 8: 50 a.m.